The attack appears to have originated outside the US. The facade of the Los Angeles Times newspaper building in LA, California. A MALWARE ATTACK that appears to have originated outside the US has delayed the hard-copy distribution of several major newspapers. The LA Times said the attack, which was first assumed to have been a server outage, hit a computer network at Tribune Publishing which is connected to the production and printing process of multiple newspapers around the US. As a result, the printing and delivery of the Saturday editions of the LA Times and San Diego Union Tribune were delayed. 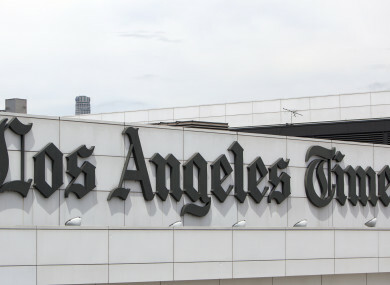 The report said it could not provide firm numbers on how many subscribers were impacted but a majority of LA Times customers received their papers yesterday morning, albeit several hours late. The newspaper cited officials as saying it was too soon to know whether it was carried out by state or non-state actors. Email “Cyber attack delays printing and delivery of major US newspapers”. Feedback on “Cyber attack delays printing and delivery of major US newspapers”.